Ah, the romantic Mediterranean! Steeped in history with stunning coastlines and views, it provides numerous settings for a romantic getaway. Take a look at our picks for 10 of the best. 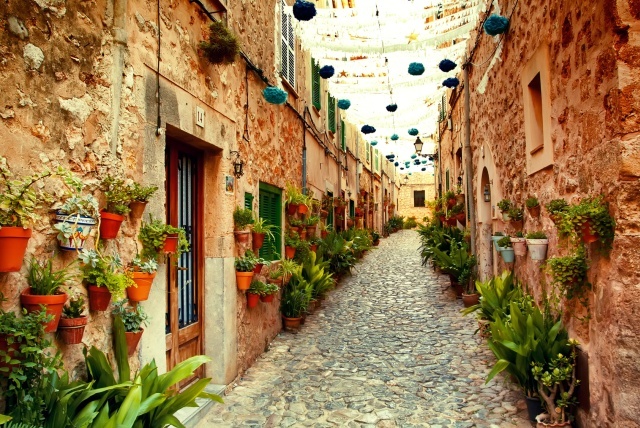 A quiet village in the mountains of Mallorca, Valdemossa is an excellent place to get away from it all. With gourmet dining in picturesque settings, luxurious spa visits and a range of exceptional hotels with historic character, you’ll be set for a special romantic stay. 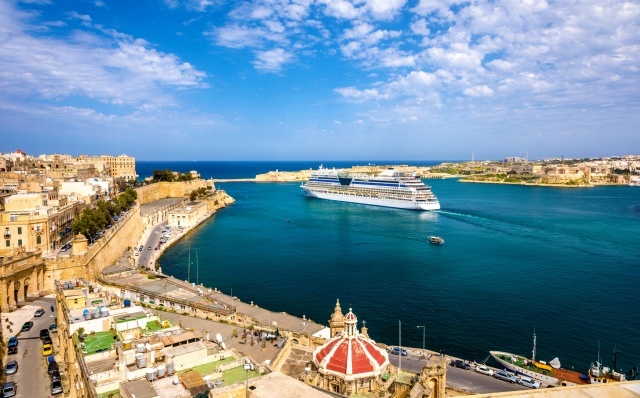 It’s also a good base for exploring this classic Mediterranean island. 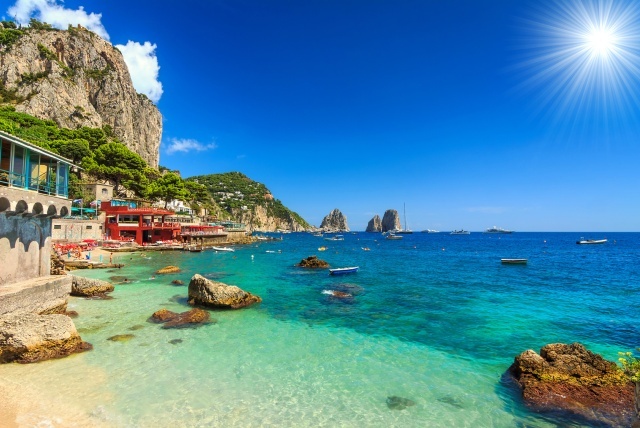 Nothing short of magical, Capri is a very special place. Situated in the Bay of Naples, it offers a peaceful and tranquil locale with some interesting things to see and do. The beautiful Villa San Michele atop the island was the dream home of Swedish author Dr. Axel Munthe and Capri can easily be your dream destination as well. This is a city where you can easily get away from the bustle and relax, along with visiting some unique and fascinating places. 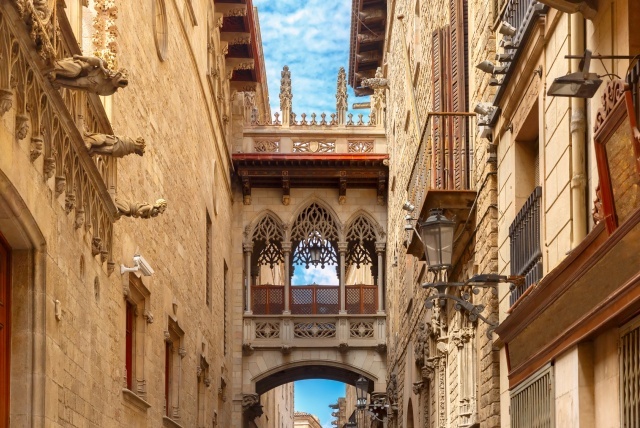 Stay in the historic Gothic Quarter and wander its narrow, winding streets, linger along the waterfront and enjoy tapas and Spanish wine in a remarkable variety of restaurants. You’ll find everything you need for a romantic escape. 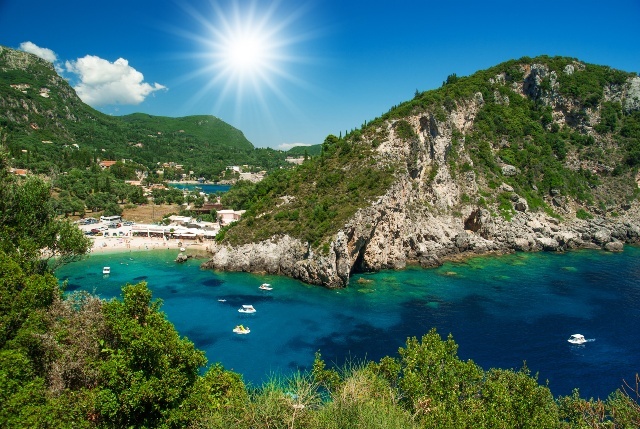 Island hopping across the incomparable Mediterranean creates an exceptional romantic getaway. 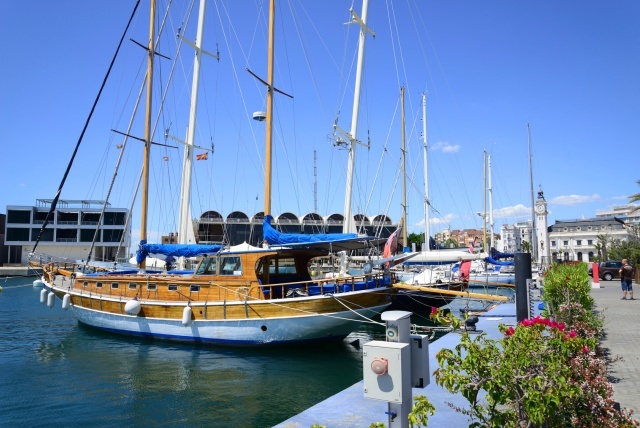 Enjoy breakfast on your verandah while leisurely arriving at a new port. Toast the departure with a glass of champagne on deck. Go ashore when you choose and enjoy all the facilities and fine dining onboard your spectacular ship. Every day is a new experience! Want to combine a romantic escape with hiking through stunning scenery? 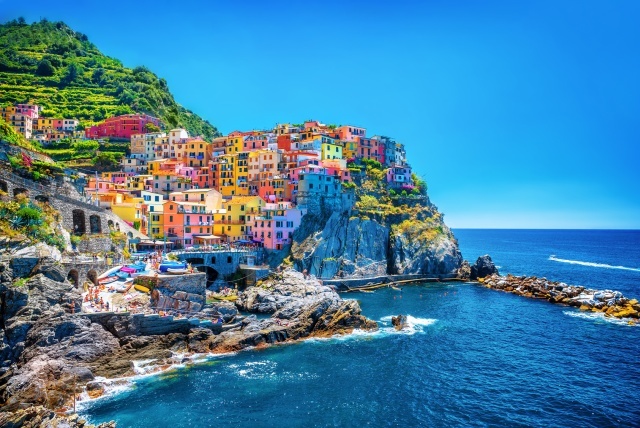 Consider hiking the dramatic coastline of Italy’s "five lands" where villages cling to seaside cliffs. Head to nearby Tuscany for hikes to hilltop towns above the Chianti vineyards. Add Tuscan cuisine and wines, medieval Siena and artistic Florence for an incomparable romantic getaway. Looking for a romantic city escape where you can stroll along the beach as well as marvel at some stunning modern architecture? Valencia fits the bill. Boutique hotels provide a quiet place to stay with couple’s massage and in-room breakfast. Paella was first created here and along with local white wines, dinner for two will be another treat during your romantic stay. 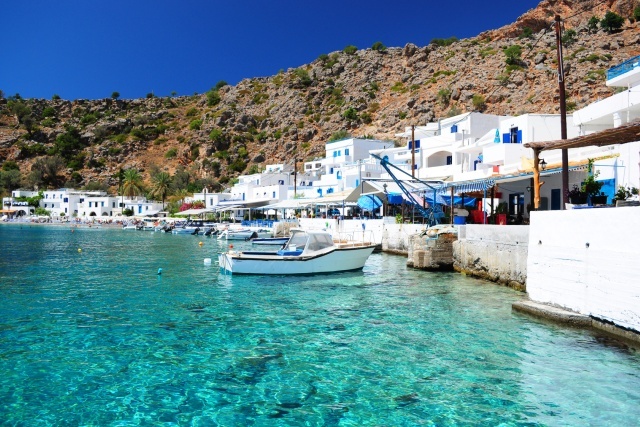 Tranquil azure bays, sundrenched vistas and white washed buildings; alluring images of the Greek Islands. They provide a romantic setting for every escape and the spectacular sunsets are not to be missed. 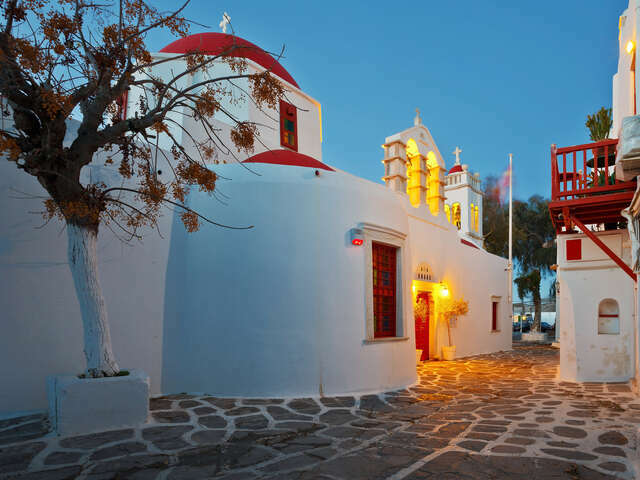 Santorini is the star of the Aegean with its volcanic crater harbor and steep caldera cliffs rising from the sea. This is the most scenic and popular island. The town of Agios Nikolaos on Crete is a good place off the beaten track to view the amazing Greek Island sunsets. This is a laid back destination where you can completely relax. For more active days, don’t miss the Palace of Knossos, home of mythical King Minos and the legendary Minotaur, a romantic story in itself! 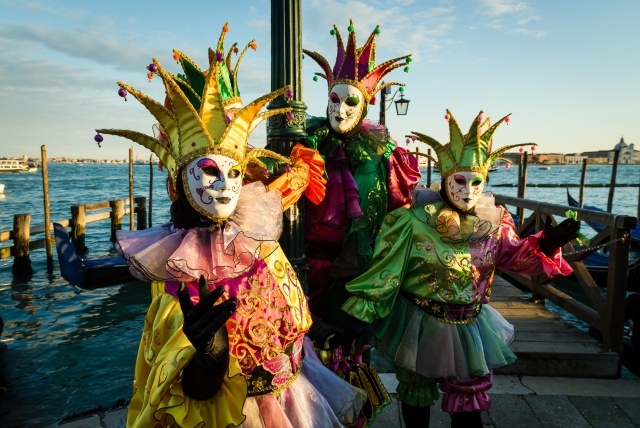 Another jewel of the region, Venice is considered one of the most romantic places on earth. Its many islands are connected by a maze of canals and bridges. Meandering the narrow streets, with no traffic to disturb you, brings you to many fascinating places. Being serenaded on a quiet gondola ride along the canals is a peaceful, romantic experience you won’t soon forget. 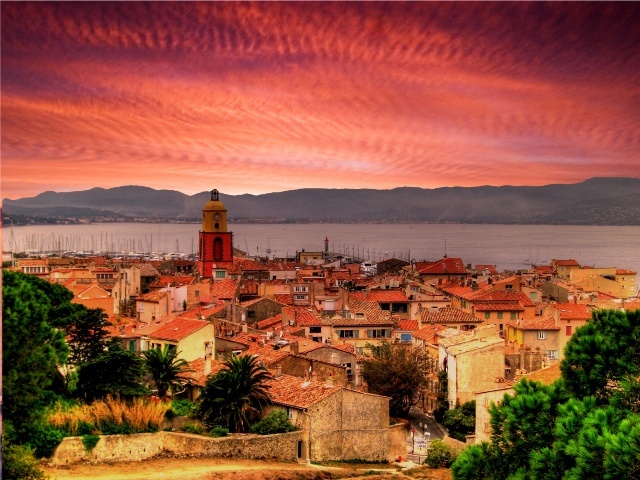 Saint-Tropez, Nice, Cannes, Monaco – the famous French Riviera resorts always bring romantic scenes to mind. They top the list for a luxurious romantic getaway. Be pampered at glamorous hotels near jet-set yacht harbors. Enjoy superb fine dining in marvelous restaurants with scenic views and sumptuous surroundings. The ultimate luxurious romantic escape!